Overall, 56% say they think Clinton would win a match-up between the two leading candidates in November while 42% say Trump would take it. Democratic voters are more convinced that Clinton would win (87% say she would) than Republicans are about Trump (75% say he would win), and Republican voters who aren’t currently backing Trump are particularly skeptical of his chances. Among that group, 40% say Clinton would win, 57% Trump, vs. 92% of Trump supporters who think he would win in November. 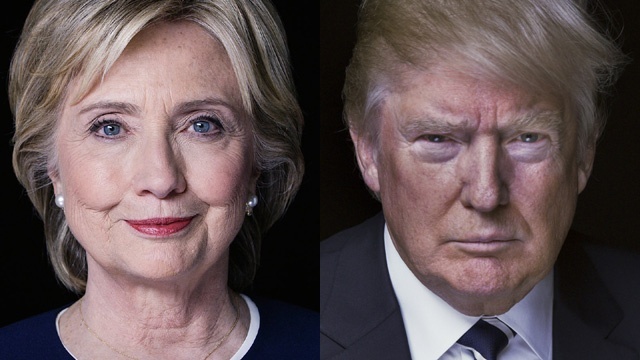 Both of the two front-runners — Clinton and Trump — are viewed unfavorably by a majority of registered voters nationwide, with 57% having a negative take on Clinton and 65% on Trump….